You are here: Home / Adventure / Is adventure good for you? Being adventurous means being open to possibilities, it means taking risk, putting yourself in the zone. But being adventurous and getting into the “adventure zone” can mean many different things to many different people. Take a world class whitewater rafting guide (like the team we employ here at Splash) who makes their income from rafting our clients down rivers each day, their idea of adventure on their free time will be wildly different from someone who has never been white water rafting before, someone whose rafting trip is their very first big adventure, someone whose heartbeat begins to rise as they take their seat on the raft, as someone whose adrenaline pumps as they hit their first white water rapid. There are many different levels of adventure, there is a start line for everyone and the sky is your only limit (unless you decide to become and astronaut – or the RedBull skydiving world record holder – now that is an extreme adventure). So why go on and adventure? And is it actually good for you? A quick search online (Google, Bing) will return you many benefits to that question. Here are the five most popular answers. Now, these are just claims, I could not find any research, empirical evidence or anything of fact to actually back these claims up. However through many years experience in the adventure industry and it subsequently playing play a big part in my life, my observations and experiences definitely support most of these claims. I will now try to explain from my perspective and experience why adventure is good for you in relation to these five claims. This is based on my experience and I am not making these claims like others have, just reasoning why they could be true. 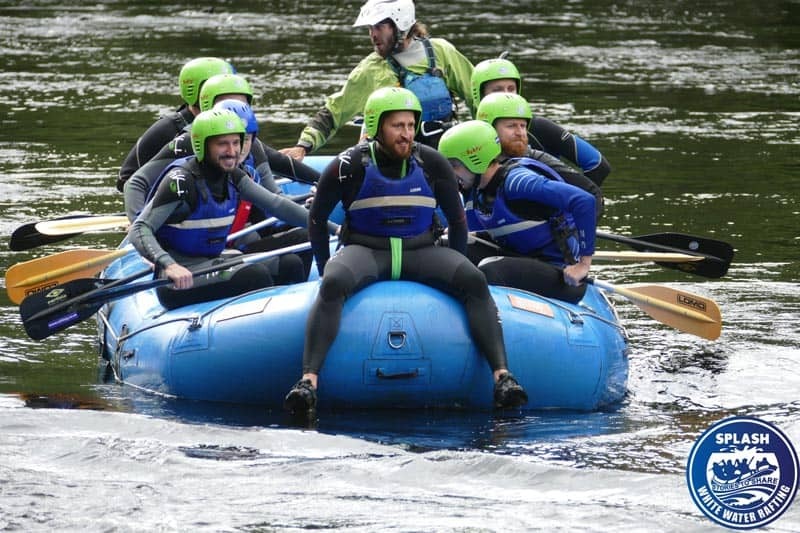 It definitely sounds good and from our perspective, it is a great marketing idea to say, “Come rafting it will make you more intelligent” but intelligence is usually only increased by hard work, research, and experience. And possibly this is where adventure could increase intelligence ie “Experience” – Adventure gives you new experiences, these experiences almost always widen your horizon, giving you new ideas and allowing you to see life like you’ve never seen or experienced it before. Like the new perspective, you get when you’re out Climbing and Abseiling. Or like the new perspective, one acquires when seeing and experiencing a valley from its lowest point ie the river. Or from digging in deep and pushing your boundaries and comfort zones way beyond where you thought they could go. These kinds of experiences bring about change and change can lead to an increase in intelligence. Stress is generally understood as “you being under too much mental or emotional pressure”, and then this pressure turns into Stress. When you feel this stress and you are unable to cope, this is stress and it can lead to Depression. Depression is generally understood as “a state of Low mood which can affect a person’s thoughts, behavior, feelings, and sense of well-being”. So how can Adventure help here? I believe it can in a few ways. First off, adventure puts you firmly in the NOW, there is no past or future in the thick of an adventure when your raft hits that white water your mind is 100% with you at all times, adrenaline and other chemicals are released and time almost stops. The mind feels alive, the body is alert and the heart pumps like it did when we were young. There is no place for stress on an adventure. Let me clarify that – Yes there is stress and fear and anxiety etc leading up to the adventure but when you push through and the adrenaline hits as your boat hits the huge rapids or your bum feels that weightlessness as you pass the edge of the cliff on an abseil . After experiences like these people become empowered, they start to see that anything is possible, the dreaming child returns and starts to believe, starts to see solutions to the problems that once crippled them. Adventure brings you to the moment and for a brief time we get to know what it is to live in the moment. Another great aspect of adventure is teamwork, teamwork in adventurous situations means you have to rely on others, means you have to communicate with others, trust in others and these steps may be enough to bring someone with depression into a space and friendship where they can talk about what’s happening in a safe and supportive environment and communication is always good. The heart pumps the blood and the blood supplies the whole body with the building blocks of life. Anything that gives the heart a good workout and for a short time increases its rate is always a good thing. Adventure is like going to the gym except it is not tedious and repetitive, it’s exciting, it’s chaos, it’s emotional, it’s dynamic, it’s thrilling, it’s dramatic, it’s flying by the seat of your pants. It’s everything your body and mind needs to get your heart pumping hard. If you make adventure a regular part of your life, then YES. If you’re going out for a one time white water rafting or canyoning trip then NO. Don’t get me wrong there will be benefits to your body in terms of health from one rafting experience, however like most things in life “a healthy and fit body” requires sustained effort. Adventure, planning and preparing for adventure and taking part in regular adventures will definitely contribute to a “healthy and fit body”. The more you do something, the better you become at it. If your adventures lead you into Canyoning for example, then over time you will be encouraged to push towards great levels of fitness to facilitate your new passion for Canyoning (Swimming, Climbing, Hiking, Abseiling, Endurance). A stronger body and stronger mind will allow you to challenge yourself within your new environments, therefore adventure can indeed inspire change which can lead to a healthier and stronger physique . I hope I have demonstrated some of the benefits to Adventure and made some arguments that will tempt you into taking your first steps into adventure and making regular adventures a part of your lifestyle, for those that have hung up their boots for a while to be re-energised to the benefits and all round awesomeness that having regular adventures in your life can bring. We at Splash live an adventure heavy life and we highly recommend taking your first steps to an adventurous activity with a professional company like ourselves. This way you get all of the safety equipment required, you get expert guides and years of experience, this way you can sample the thrill and excitement, get your heart beat up, your mind racing and know that you’re in the hands of seasoned professional. For a look at our activities click here.